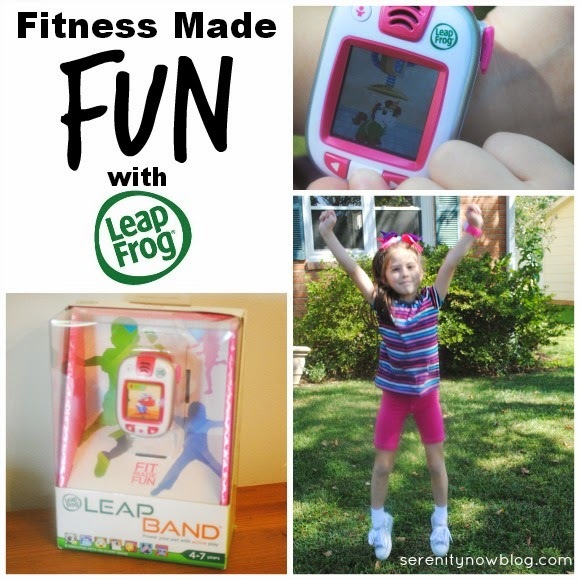 Serenity Now: Fitness Fun for Kids with the New LeapBand! This post brought to you by LeapFrog.// Psst! The link party is still live; head on over to join the fun after you read about this LeapBand sneak peek! All three of my little ones (yes, even Harris!) are healthy, active kiddos. The girls dance at the studio for a an hour or more, several times a week, and Harris maintains his "butterball" figure by crawling, creeping, pulling up, and attempting to climb stairs...all day long. That said, finding ways to make fitness fun at home for the older kids can be a challenge. I'm going to share why I think LeapFrog's new LeapBand is a great solution for keeping the kids active in a fun and exciting way when they're home. I'm not one to say, "Hey, guys! Let's go on a family run today." Um, no. Not me at all. But I do love impromptu dance parties and fun games that can make us all giggle. This is why the LeapBand was such a good fit for us. 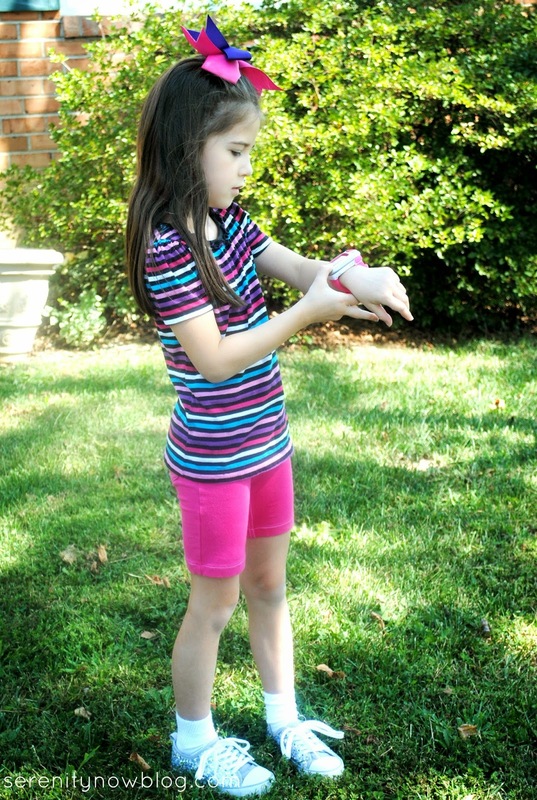 LeapFrog's new LeapBand is a wearable activity tracker, designed to make fitness fun for kids! Through active play and following through on healthy habits, the LeapBand allows your child to interact with his/her own virtual pet. Michaela Byrd chose a unicorn which she promptly named "Lucky Sparkles." Michaela Byrd earned points through active play, which in turn unlocked additional games, bumped her up levels, and got virtual rewards for her pet. 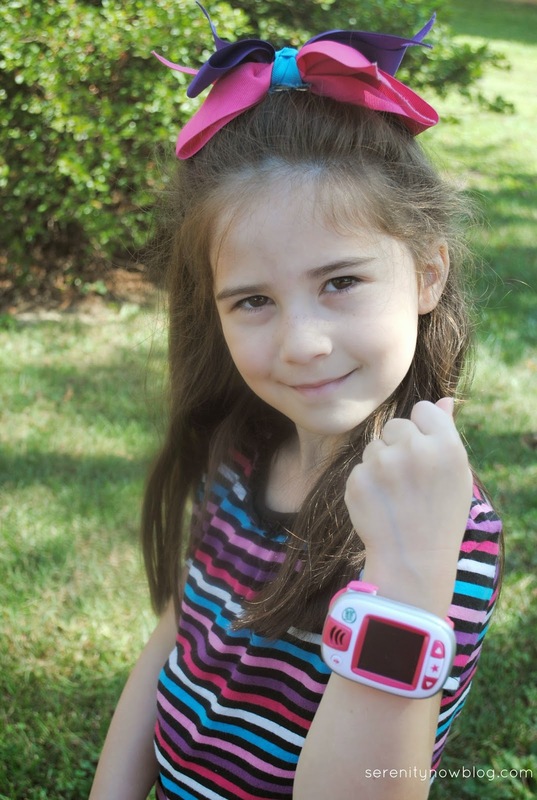 In short, it was a huge hit from the second she fastened the wristband on. Except for the set-up process on the computer, Byrdie figured out how to turn the band on and set up pets and settings in about 4 seconds. So...very user friendly. Without any extra equipment, LeapFrog tapped into my daughter's movements, encouraging her to walk like a crab, dance to music, "pop like popcorn," spin, and more. So, she was getting a fun workout without even realizing it. As a mom who limits screen time, the fact that I can set automatic "down times" during school and/or sleep hours is priceless! You don't have to be the bad guy when it's time for family time, dinner, homework, etc. After watching my little one give the LeapBand a test drive, I'd say this is a toy that would make a great addition to the Christmas "must-have" list for a first grader or younger. The under $40 price tag and rechargeable battery make for more attractive features for parents. Download the free companion app (Petathlon) for more fun! Thanks, LeapFrog, for focusing on healthy habits in addition to your normal line-up of fun and educational games and apps. This is a great addition to your product line! How do you encourage healthy habits as a family? Disclosure: This post was sponsored by LeapFrog, but all opinions are 100% my own. I was not financially compensated for this post, but will receive a LeapBand in exchange for my interview post. What a super way to make them aware, at a young age of their activity level. Promotes good life long habits :))) This company makes such great products. That is so awesome! My daughter would love it! that is awesome!! I've never seen anything like that before. What a great idea to get kids excited about moving! I love a toy that encourages kids to be active! The price is great as well. I have the FitBit and my kids love it and want one so bad! This is the perfect solution, one geared towards their age range and at a great price. This will definitely be a Christmas Gift in our house this year. Wow! I hadn't heard of this...what a great way to get kiddos active. Sometimes I worry that my 6 yr old spends too much time playing video games and not enough moving around...this is a great solution! I haven't seen that before ... it's so cool. I know my kids would love to have one! I had no idea this even existed for young kids. Such a fabulous idea. I've had Leap Frog products for all of my sons ~ they are awesome! How fun! My kids would LOVE this! It's also a lot cheaper than I would have thought. Thanks for sharing. This is a fun idea to keep kids active. I think my kids would really enjoy it! How fun! My youngest would LOVE this!